A couple weeks ago I was on a plane ride to Sweden and decided it would be a good time to remove the American SIM card from my Google Nexus S phone and put my Swedish SIM card in so I could SMS my friends when I land and let them know I've arrived. 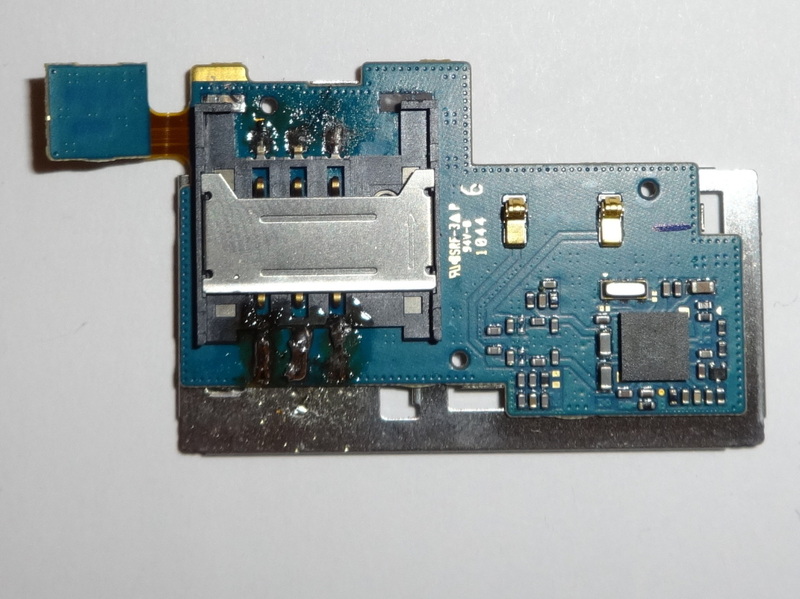 Unfortunately, the Swedish SIM card was one of those micro-SIM cards with an adaptor around it. I originally put the card in the wrong direction (it was dark on the plane) and when I took it out to switch it, the adaptor got caught on the pins and bent them. Long story short one of the pins broke. I went to some shops to see if I could get it repaired, but it would have cost over 900SEK and for that amount of money I could almost buy a new phone. I have to say, Samsung is one of my favorite companies, but this is an extremely poorly designed SIM card socket. I forgive you Samsung. Anyway, when I got back to the US, I went to some of my favorite electronics websites on the hunt for a new SIM card socket. Unfortuantely, I couldn't find a single a one that looked like the one Samsung used, so I ordered 4 different kinds from Newark. It ended up that 2 of them were way too big (I guess I could have measured and done better research), 1 was slightly too big (I tried to solder this one in first and broke the crap out of it), and the last one was too small. Fortunately I was able to solder the last one in by first soldering the back 3 pins first and then drawing three lines of solder about 3mm long from the connection on the daughterboard to the pins on the SIM socket. After putting the phone back together and putting a spare SIM card in, where the phone used to have a banner that says "no sim card" it now says "emergency calls only". It appears to work. I haven't checked to make sure the camera, the microphone, or the speaker work, which of course could have broken while I took the phone apart, but at least my repair to the SIM card socket works. Since this appears to be a pretty common problem for this phone, if anyone else wants to try and fix their phone the same way I did, the socket I used is: Global Connector Technology (GCT) SIM2055-6-0-18-00-A. 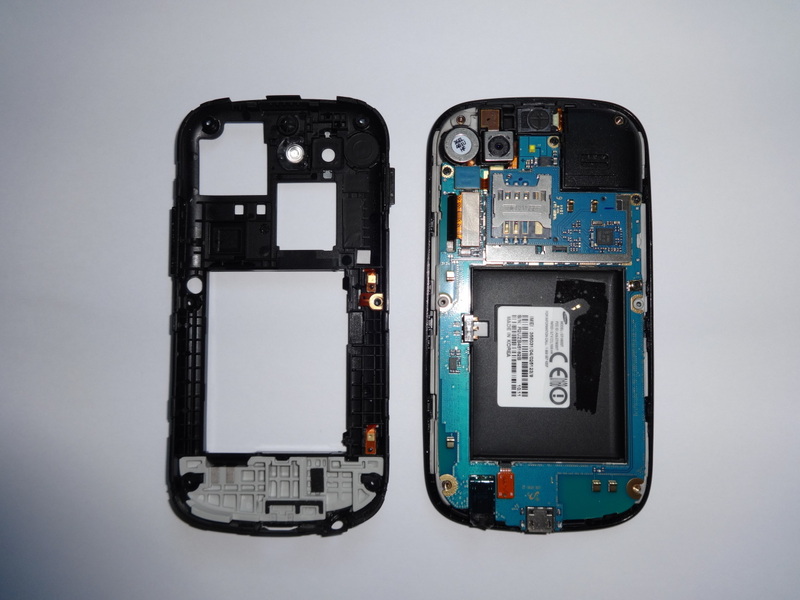 Here's a picture of the phone with the back cover removed. The SIM card socket can be seen here with the bottom right pin completely missing. 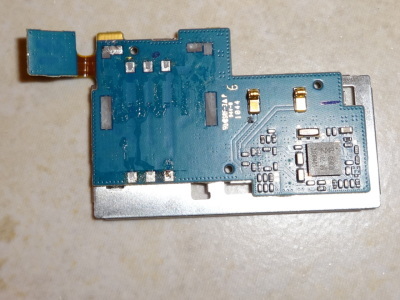 Here I took the daughter board out of the phone that holds the SIM card reader socket. 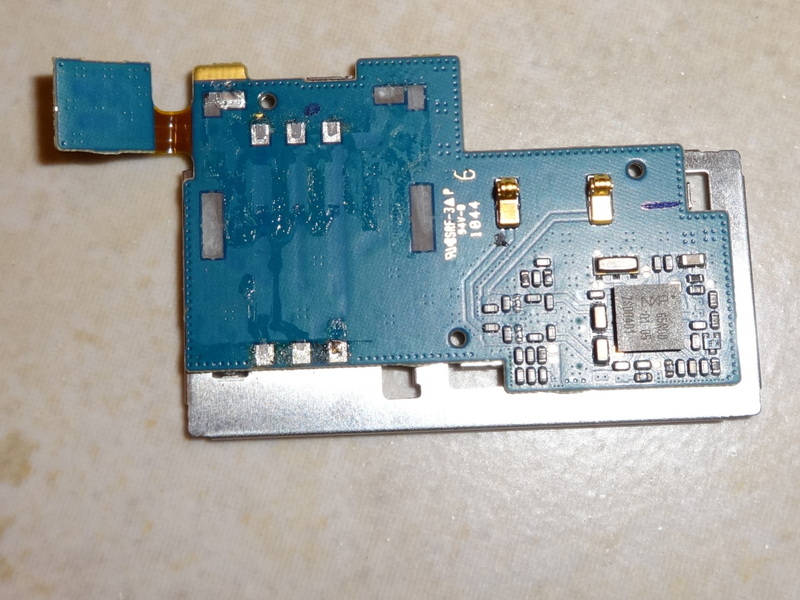 This pic was taken after I removed the surface mount SIM card reader.